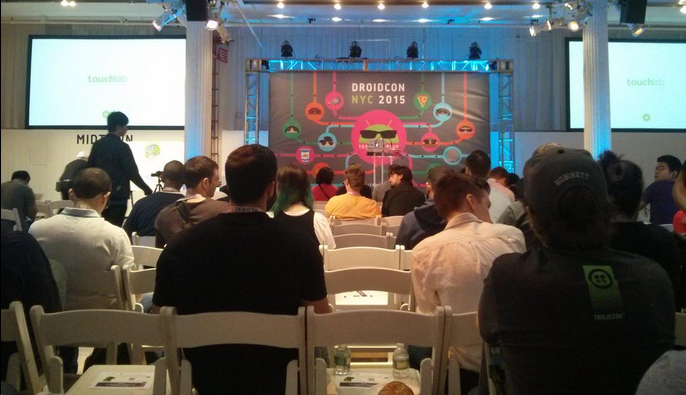 Droidcon is touted as the world’s largest, community-driven, Android developer conference. The location based Droidcon conferences support the Android platform and create a global network for developers and companies. There are a ton thought provoking presentations from different parts of the ecosystem, including core development, embedded solutions, augmented reality, business solutions and games. To date, Droidcons have been held in Amsterdam, Bangalore, Berlin, Brussels, Bucharest, London, Madrid, Moscow, Murcia, Paris, Stockholm, Tel Aviv, Tunis and Turin. And now, USA. The Metropolitan Pavilion in NYC will be crawling with developers, technologists, hackers, and industry leaders August 27-28, as they totally geek out to all that Droidcon has to offer. Minerva Tantoco, New York City’s first ever CTO, will deliver opening greetings to the US Android community. Google Developer Expert Corey Leigh Latislaw will be the Day 1 Keynote presenter. And then there’s a huge line up of talks. There sure will be a lot to talk about. According to data from the International Data Corporation (IDC) Worldwide Quarterly Mobile Phone Tracker, Android dominated the market with a 78.0% share in 1Q15. And a comScore US report says Android is still the most-popular smartphone OS in the country with a 52.2% market share. This is a two-day conference with international attendance of Android developers that showcases the very best of what has been created. It also gives sneak peeks into the future of Android. It’s an amazing chance to get first-hand info about Android advances, listen to expert speakers, see fantastic new technologies, and meet the international Android community. Veloxity is honored to be a Droidcon sponsor among the likes of Google, Facebook, Couchbase, Uber, and Tumblr. The Veloxity cell phone charging kiosks with private lockers will be at show for anyone to power up their phone and avoid dead battery anxiety. The free and easy to use charging stations are a secure way to keep your phone charged throughout a long event, conference or game.